Thank you so much for supporting my work by buying my book! I am enjoying this feeling of accomplishment, and your encouraging words fill me with joy. I am also grateful for the support of other bloggers. Here are links to reviews of my book on Tiny House Blog and Tiny House Talk as well as some link love from Rowdy Kittens. Thanks, guys! Archer was on the other side of the fence totally in love with his chicks and ducks. One by one he picked them up and held them to his chest, then held his hands out and let them flutter off. I never imagined we’d have 19 chickens and 6 ducks but we do. Archer says he wants to farm. It’s heartwarming to see him with his animals. 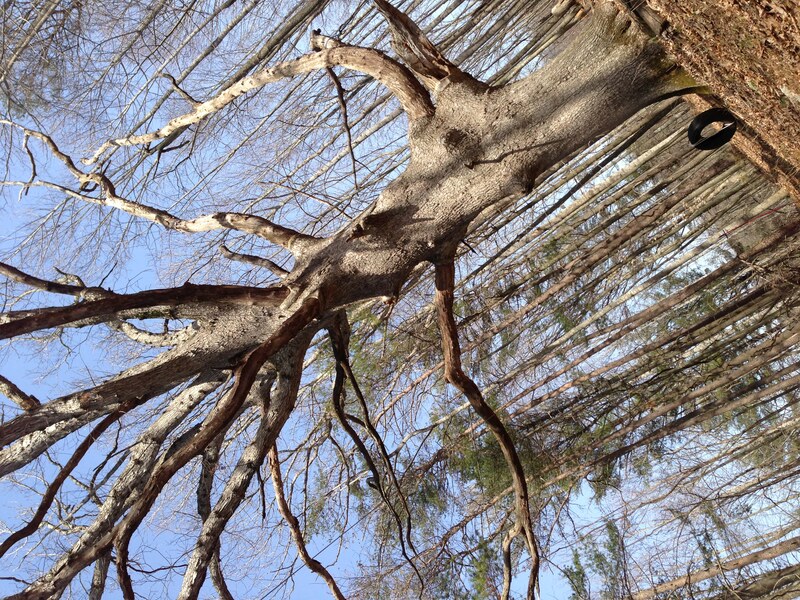 We were under the giant white oak–I looked up to take in the season–still no sign of leaves, but somewhere in there she’s doing the inner work–getting ready to leaf out. 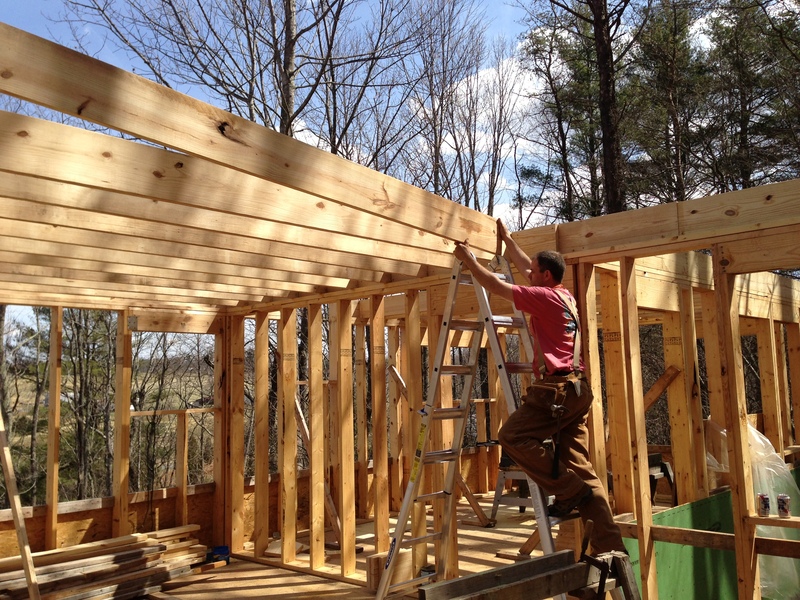 On Sunday we measured and cut the second story floor joists for the big house. Karl put them up (on his own–let’s hear it for Latvian ingenuity!) 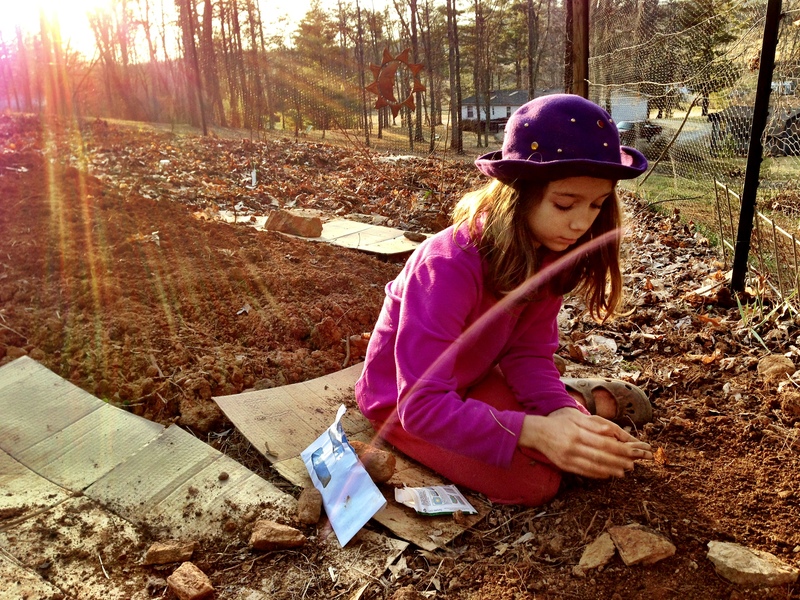 while I spread mulch and planted seeds. We are moving toward our dreams–one board, one seed, one book launch at a time. It’s important to acknowledge how far you’ve come, even if it’s only a few inches. And, of course, the true mark of success is standing present and aware for the moments of your life. What are you moving toward? What small signs of progress can you detect? Share in the comment section! Love it! Keep up the good work and I hope your book continues to do well and inspire many people! I would love to read your book but when I went to Amazon it seems it is only available on Kindle. I don’t use Kindle or Nook. Is there a chance this will come out in hard copy? Yes, I’m looking into a site that will print on demand. I’ll keep ya posted! Thank you! Thank you for reading, Bobbi. I’m glad you enjoy. 🙂 We sure have come a long way. 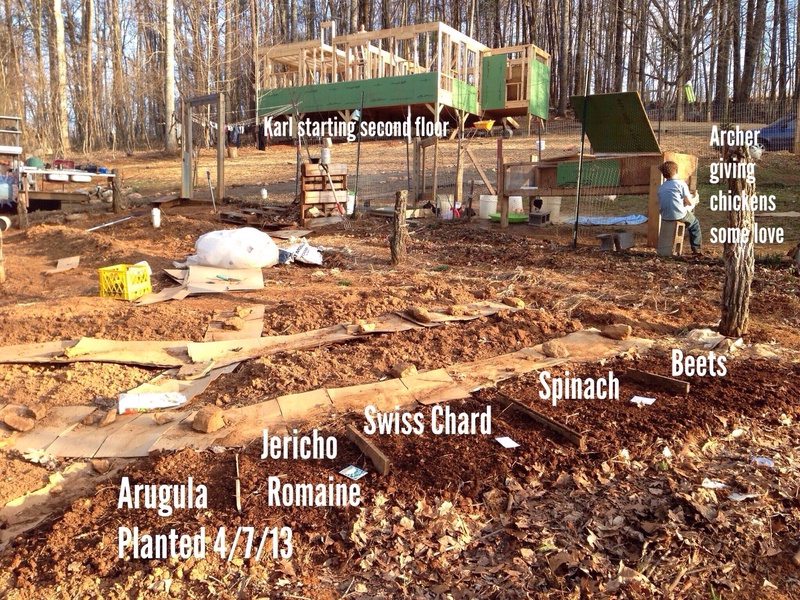 It’s really fun to see the homestead take shape.